Newbie to webCoRe. I used virtual device to set SMART HOME MONITOR status. 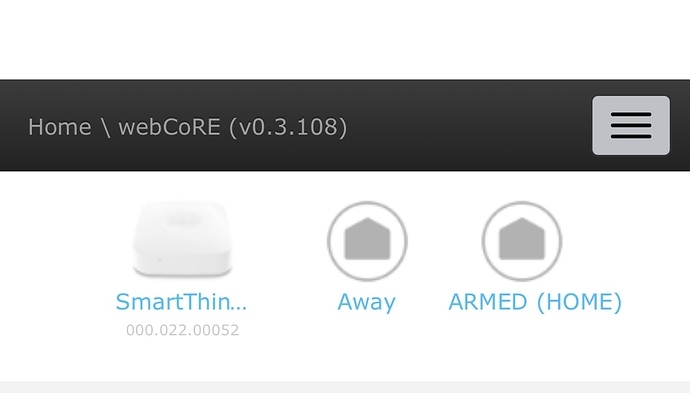 In webCoRe, it does change, but in SmartThings app, it doesn’t. What did I do wrong? webCoRE can only control SHM in the Classic app. The SHM in the SmartThings Classic app and the SmartThings (Samsung Connect) app are two separate apps and what happens in one does not in the other. Best recommendation is to only use the Classic app at this point. The new app is not a fully baked product at this point. Has this situation changed. 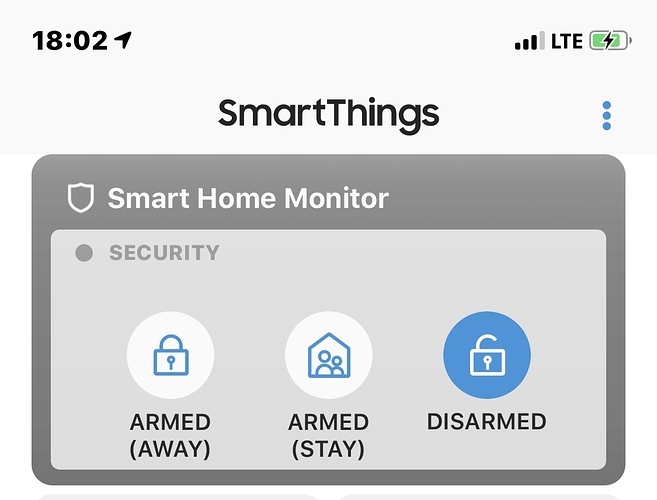 Is the smart home monitor in the classic app still separate from the new app? That is correct. SHM is separate apps in both the Classic and STSC. Their status is not shared between each. Also, SHM in STSC can not be controlled by webCoRE.